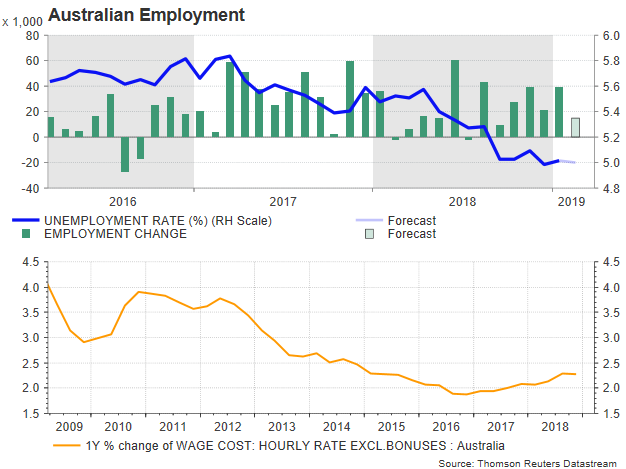 Australian employment figures will be carefully watched on Thursday at 0030 GMT as the central bank keeps relying on a tighter labor market to cushion the damage from a tumbling housing market. The consensus however is for slower jobs growth in February and a steady unemployment rate, a piece of evidence that monetary stimulus might still be necessary to support the economy. The Australian Bureau of Statistics is expected to reveal that the number of employees during the previous month increased softly by 14k compared to a 39.1k rise in January, leaving the participation rate unchanged at 65.7%. The unemployment rate is also projected to hold flat at 5.0% but even if this is low by Australian historical standards, the Reserve Bank of Australia (RBA) who used to say that full employment conditions could be achieved at this level, now believes that the jobless rate should be lower to trigger a steeper wage growth and therefore inflation pressures. While January’s employment increase may be a result of a busier retail market as Christmas-New year and school holidays come together, data out of the business sector suggest that willingness for more hiring and higher paychecks may remain muted in coming months. The NAB business survey for the month of February indicated that conditions and confidence weakened, while stats out of the housing industry showed that the discount in house prices accelerated to 2.4% in the December quarter to mark an overall drop of 5.1% for 2018. Recall that in 2009, prices plunged by 4.6%. Limits in credit supply also pressured demand for housing loans to four-year lows, a negative sign for consumer spending and therefore inflation, with the minutes from the RBA’s latest policy meeting citing the sliding property market as a major source of uncertainty over consumption. Policymakers also expect dwelling investment to enter negative territory and the contraction to be sharper than is currently projected, making the case for a rate hike less desirable. Yet, even if the Bank has shifted its stance to neutral, it did not put any significant weight on intentions for rate cuts but instead it assessed that steady interest rates may be more appropriate in hopes that further job gains and a lower unemployment rate would mitigate the negative housing impact on consumption via a stronger wage growth. According to the overnight indexed swaps, however, the odds for a 0.25 bps rate cut by August 2019 have surged to 64%, reflecting the rising pessimism among market players. 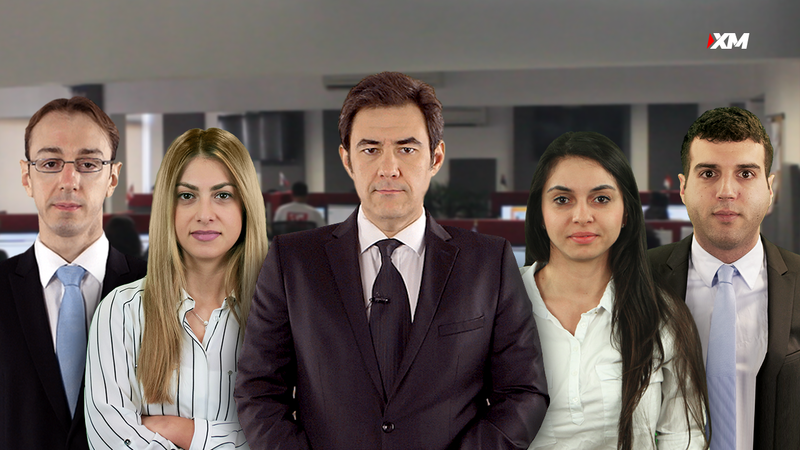 A big group of investors also think that such a move could occur before the year end but until then the risk-off sentiment could take many turns depending on how trade talks, economic conditions in China and the Brexit drama will develop. Meanwhile in FX markets, AUDUSD is trying to recover after finding support around 0.7054. 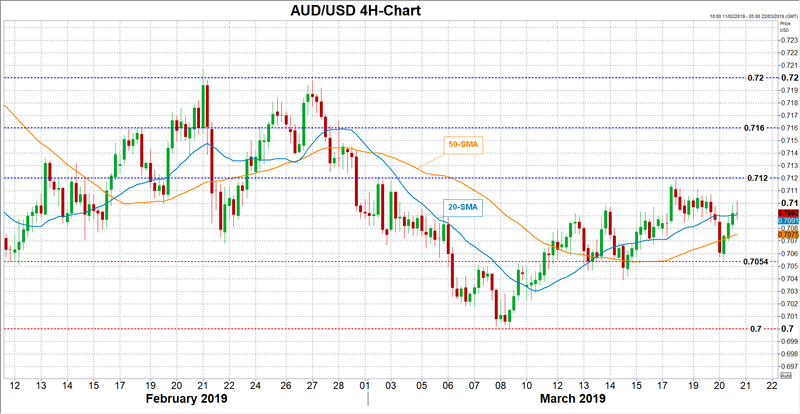 A better-than-expected employment report would endorse the RBA’s thinking, lifting the pair probably up to the 0.7120 peak, while a bigger upside surprise in the numbers may also open the door for the 0.7160 resistance. Alternatively, disappointing prints would back the need for more stimulus, driving the price down to 0.7054 again. Lower, the sell-off could pause between 0.7020 and 0.7000, while deeper support could run to 0.69.